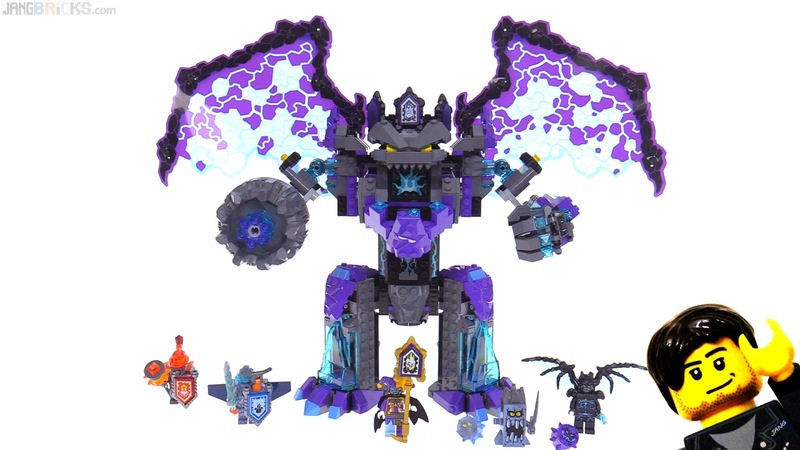 I went ahead & spent the big bucks on shipping to get some season 4 Nexo sets imported, hoping to find some gems among the stones (because Stone Army, right?). This titan build is more impressive to initially behold in person than it appeared in pictures, yet for its large size it somehow feels a bit underwhelming to me. Ironically, my favorite elements of the set are two of the little normal-sized minifigures. Like the your minifigure in the bottom right corner of the thumbnail.